R. Srikumar, a well-known name in the IPS, completed his Electrical Engineering at IIT Madras in 1970. 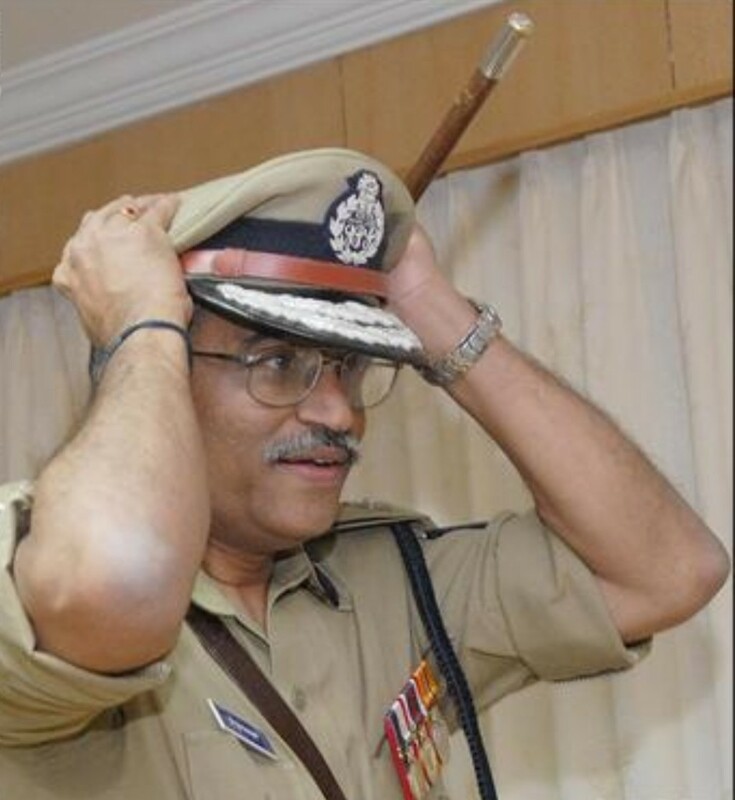 Having chosen to serve the society, he went up to become the DGP of Karnataka. Currently, he serves as the chairman of a public Trust called Indian Centre for Social Transformation. In an interview with Pranit Mehta from Chennai36, he shares why he chose this Unconventional career and his experiences ranging from institute life to solving the Rajiv Gandhi case and his other life accomplishments. Do you recollect some moments, from your days back then, as a student at IIT Madras? How do you think your time at the Institute helped you? I do fondly remember those days and years spent in IIT, where, so many opportunities were available for the students, to participate in activities full of excitement and thrills, apart from the hard grind of seven hours of class work, with three surprise periodicals a week and thrills of collective bargaining with authorities to make life better for us. During the five years I spent in the Institute, I grew up from boyhood to adulthood, in stature by adding over ten inches to my height; a great deal in self-confidence by learning to tackle problems by trial and error; in facing challenges like being cash-starved and far away from home and parents; in taking all decisions with only partial facts available, and learning to think through other possibilities; in peer learning through participation with a fair share of success as well as failure; in bonding and teamwork and in having to face the tough competitive environment by striving for excellence. In-spite of all of this, it was a fun-filled journey. Your desire to serve the nation seems to be endless. Could you enlighten us about your service to the community? It all began with the Police service in which I landed myself. Use of technology for good governance and a better life has been my passion throughout the police service. I tried to apply technology in whichever post I served starting from 1975 when I was asked to handle the first file on Computerisation of UP police. I was a young ASP but was chosen for the job because I had graduated from IIT Madras. I have used computers to solve several crimes of disproportionate assets to assassination and organised crimes and other economic crimes. I kept trying new methods and technologies, as I got acquainted with them. Soon after retiring as DGP Karnataka in November 2009, I started a Public Trust called Indian Centre for Social Transformation (www.indiancst.com ) that offered cloud computing services for better project management and monitoring and evaluation of programs and public schemes. After seven months of starting the Trust, I had to resign overnight and shift to Delhi when a Presidential Warrant was issued to become a member of the Central Vigilance Commission. However other Trustees persevered with the Trust work. A mobile and cloud-based portal was conceived with the help of the Trust and launched on International Anti-corruption Day (9/12/2010). The portal was used for inquiring into several corruption cases including those related to Commonwealth Games. (http://www.vigeyegpms.in/cvc/ ) We called it Project Vigeye- short for Vigilance Eye, and we used it to seek public help in reporting corruption cases. The work of all those who are assisting the Trust in its social work needs to be appreciated and recorded. After retiring from CVC in 2014, I spent one year cooling off. From 2015 have I resumed as Chairman of the Trust. The Cloud-based platform (called GPMS Transportal) has been further enhanced by the Trust and is currently used at many levels for public finance management. The Platform is presently used for monitoring the National level program of indigenous bovine breed improvement (https://epashuhaat.gov.in). It is customised for an integrated dashboard for monitoring the State level Universal healthcare programs in Karnataka (https://www.indiancst.com/India/universalhealthcare/). This platform is freely available for use by individuals and institutions anywhere for monitoring their programs and projects. Having been a part of the team that cracked the Rajiv Gandhi Assassination case, could you narrate your experience on how you worked and how it affected you personally? Five years (1991-96) in the team that investigated and helped prosecute the Rajiv assassination case was a roller coaster – full of ups and downs. I was in charge of the Interrogation Team that handled several suspects and the 26 charged accused who were in police custody for sixty days. The oral statements of witnesses were fed into computers and scrutinised along with documents seized for, further getting leads and corroboration of evidence. This paved the way for greater use of technology in crime work. We set up a local area network of PC 386 computers in 1991-92 and added optical disk drive storage to preserve the evidence collected. We managed to retrieve data from a seized WANG computer with the help of the manufacturer in Boston even though the computer itself was damaged both mechanically as well as electrically. We set up and worked with wireless monitoring stations to zero in on clandestine radio communication between the hit team in India and the handlers in Sri Lankan Jungles. It was a 24X7 X 52 job for five years. I learnt to work with police forces across borders (in about ten countries), face searching, questions from Media, Parliament, and Commissions of inquiries, practice transparency and accountability and identify gaps in the investigation using technology. The career you chose for yourself is a little uncommon for IITians. What was your motivation to take this path? What were the other alternatives you had considered then? By the time I joined the Police force in 1973, I had experience working as an engineer in both the private and the government sector. My work as Assistant Engineer in Central Public Works Department exposed me to the possibilities of using technology in Police work and when I was offered IPS after the UPSC selection, I grabbed it and enjoyed doing it all the way. Public service has its own charm and the more you get into it the more you get motivated to do that something extra. You proceeded to study at the National Law School of India University, Bangalore and graduated in 2003. Could you explain your driving force towards pursuing your Masters after joining the IPS? The day I paid the fees for my daughter for the five-year law degree in NLSIU Bengaluru, I paid the fees for the part-time program in Masters in Business Law. By then I had not only delved deep into the nuances of criminal law and evidence, but I had also started handling several matters of contract law, labour law, civil and commercial disputes, Environment law and IP rights etc. It was for equipping myself to do my work as a public servant that I completed my MBL. I am not done with learning and am looking to register for a PhD. Students tend to feel that choosing an unconventional career is like secluding themselves from the crowd. How did you deal with this in your case? How does it feel to proceed with something different from most of your peers? School/ College education is the beginning of the lifelong learning process towards making meaning out of one’s own life. I joined IIT because of the prompting of my parents and the activities of my peer group. Nearly thirty schoolmates from then Madrasi School in Delhi joined at IIT Madras and some in other IITs. The Hindu paper featured a piece on our school’s performance in those days. I have never felt secluded and have always found motivation and inspiration from peers and friends. The public support, as well as the family backing, egged me on to say that whatever I did was in public interest and was thoroughly enjoyable. How do you feel we as students of IIT-M can continue spreading the notion, “IIT-M produces much more than Engineers”? Keep asking whether what you are doing is in Public interest or not. Keep asking whether it is in line with Article 51 A (j) of the Indian Constitution on Fundamental Duty– to strive towards excellence in all spheres of individual and collective activity so that the nation constantly rises to higher levels of endeavour and achievement. Keep reminding yourself that Fundamental Duty should take precedence over Fundamental Right!